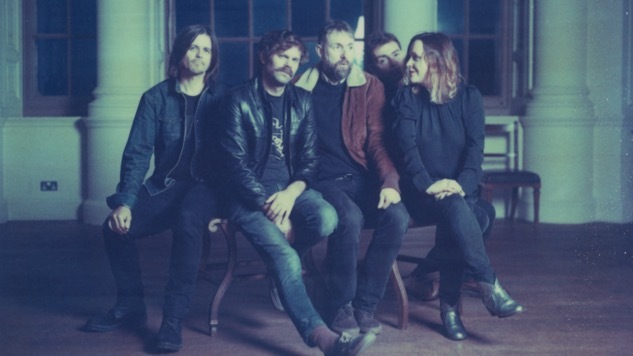 The visual treatment of Slowdive’s “Don’t Know Why” is a video in three parts, released by the band today via Apple Music, that give us a sense of Slowdive’s timelessness as we wait for the reunited members to dive into the frame on a burnt-orange sun beam. “This video is less about logic and more about a feeling. It’s a triptych about memory, about being lost and abandoned,” says director Grant Singer. He goes on to add that Slowdive has been his favorite band since he was a kid, although he’s gotten to work with other superstar acts such as The Weeknd, Lorde and Ariana Grande. Critical acclaim be welcomed or forgotten—the resurgence of Slowdive in the one-and-done day and age is something worth acknowledging. Watch their “Don’t Know Why” video via Apple Music here and see their newly announced fall tour dates supporting Slowdive below. 11 – New Haven, Conn. @ College St Music Hall?